Big thank you to Netgalley and the publishers for the copies! 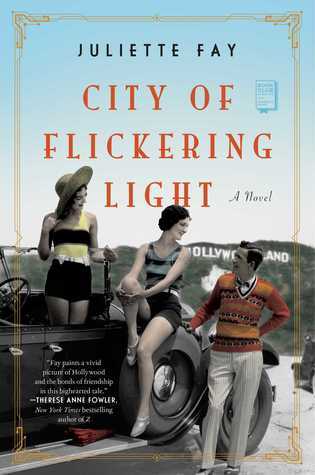 City of Flickering Light- Juliette Fay: When Irene Van Beck jumps off a moving train to escape the burlesque life, she sets off a chain of events that will forever change the course of her and her friends Millie Martin and Henry Weiss lives forever. The unlikely trio set out to make it big in Hollywood, but they soon learn the road to stardom isn't always as glittering as it seems. The friends only have each other to fall back on as they face prejudice, poverty, and hopelessness all in the name of chasing the Hollywood dream. I find the 20's era Hollywood to be an interesting time period, so I was instantly swept up into this story. While it does show the upside of being a movie star during that time, it also doesn't shy away from the corruption and addictive behaviors that were prevalent. I felt like it was a glamorously gritty view of old Hollywood. I loved how there were quotes from famous people from that time as chapter headers, it made the story feel more atmospheric. The one thing that really made this book for me was the friendships. Irene, Millie and Henry go through everything together, from the highest highs to the lowest lows, and they stuck by each other every step of the way. Despite some moments being a tad predictable, overall I found this enjoyable, and it really made me want to binge some old classic movies. 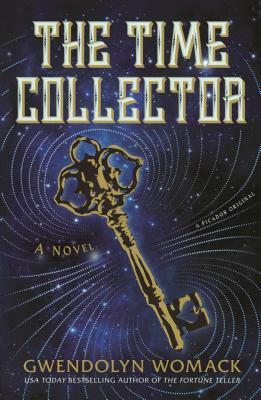 The Time Collector- Gwendolyn Womack: Roan West has an incredible gift-- he's a psychometrist, meaning he can sense the history of an item just by touching it. He uses his skill to find lost heirlooms in order to return them to their rightful families. His life is turned upside down when his close friend, who has the same power, is kidnapped due to his research into "ooparts" or out-of-place-artifacts. Roan quickly learns that someone is targeting psychometrists, and he hurries to find Melicent Tilpin, a young woman who just went viral for showcasing her powers, because he believes she's the next target. The pair are then thrust into an adventure that takes them around the world in search of answers. I absolutely loved this book. I was hooked right from the jump. The whole story was just so fascinating; I'm such a sucker when it comes to historical fiction mixed with fantasy elements. I especially loved all the glimpses into the past of objects they touched. The characters were engaging and Roan and Melicent's relationship together never felt dull or forced. There were also twists that I didn't expect which I enjoyed. Womack did such a great job with this book. This is one of those rare cases where I wish this wasn't a stand-alone because I just want more. How do you read books so fast? I aspire to be like you! Ah, thank you! It's the only advantage to my insomnia, haha.